The Supreme Court has started ‘doctoring’ the High Court judgement that ordered Stanbic bank Zambia limited to compensate Savenda K192m for negligence and breach of duty. The edited judgment and ‘explanations’ will be published in the Daily Nation and News Diggers newspapers soon. Meanwhile, Chief Justice Irene Mambilima is making desperate, frantic efforts to convince some sections of society to stop supporting Bishop Mambo and activist Gregory Chifire in a case where the two have been charged with contempt of court for a court that was already disposed of by the courts. To tamper with the judgment, deputy chief justice Marvin Mwanamwamba and Stanbic lawyer Erick Silwamba have engaged High Court commercial division registrar Coleen EM Zimba to do the dirty work. Mrs Zimba, who also helps judge Mwanamwamba to research on legal matters, this week was busy gathering and photocopying all the documents relating to the Stanbic v Savenda case. She has also been trying to intimidate and compromise investigators who are looking at the criminal aspects of the case. Once Silwamba and Mrs Zimba finish doctoring the judgment by changing facts as presented or established by the High Court, the falsified judgment will be published in the two publications. Richard Sakala, the owner of the ‘Daily Nation’ is a friend of Silwamba as they both worked at State House together during the Fredrick Chiluba era. But the main motivation for Sakala is the financial benefit that will come with the documents. The Supreme court judges feel that the High Court judgment has really exposed their bias and corruption, so it must be ‘worked on’. Meanwhile, Chief Justice Irene Mambilima who was supposed to retire last year after reaching the retiring age of 65 has so far contacted three NGO leaders with a view to compromise them. 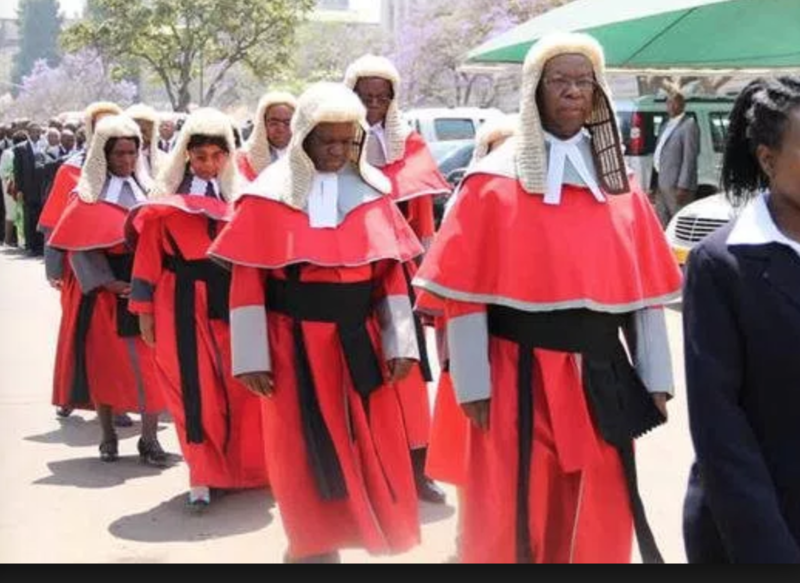 The overwhelm support Bishop Mambo and Chifire have received from the public and civil society in particular has unsettled the Supreme Court judges prompting Mambilima to personally start phoning NGO leaders. According to phone records, Mambilima, or her agents has in the past few days phoned at five NGO leaders. In the contempt of court case slapped on Bishop Mambo and Chifire, the prosecutor is Deputy Chief Justice Marvin Mwanamwambwa, he is also the presiding judge, the witnesses are Supreme Court judges, their spouses and Stanbic lawyers and lawyers with indecent interest to the case. The matter on which the contempt was alleged to have been made was disposed of many months ago, and is therefore not subjudice, that is under judicial consideration. It is the first time in legal history in the Commonwealth that a person has been charged for contempt of court for commenting on a matter that is no longer in court. In the case of Savenda v Stanbic, the High Court ordered Stanbic to compensate Savenda K192m for loss of contracts after Stanbic negligently and maliciously reported Savenda to the credit Reference Bureau. But the Supreme Court trashed the High court Judgement and instead ordered Savenda to pay costs from the time the case started, generating public outcry and suspicion that the Supreme Court has been bribed. The bill which Silwamba wants Savenda to pay the Bank is K10 million.